I took my very first Karate class when I was 12 years old. A few years later, I learned about this new combat sport called mixed martial arts, and in 2013, I started training full time at the renowned Tristar Gym and I did my very first amateur fight the next year. In my record, I now have close to 30 fights and a few grappling competitions. I am competing and training in these disciplines simultaneously. I am dedicated to this sport and lifestyle and have done competing for my career. 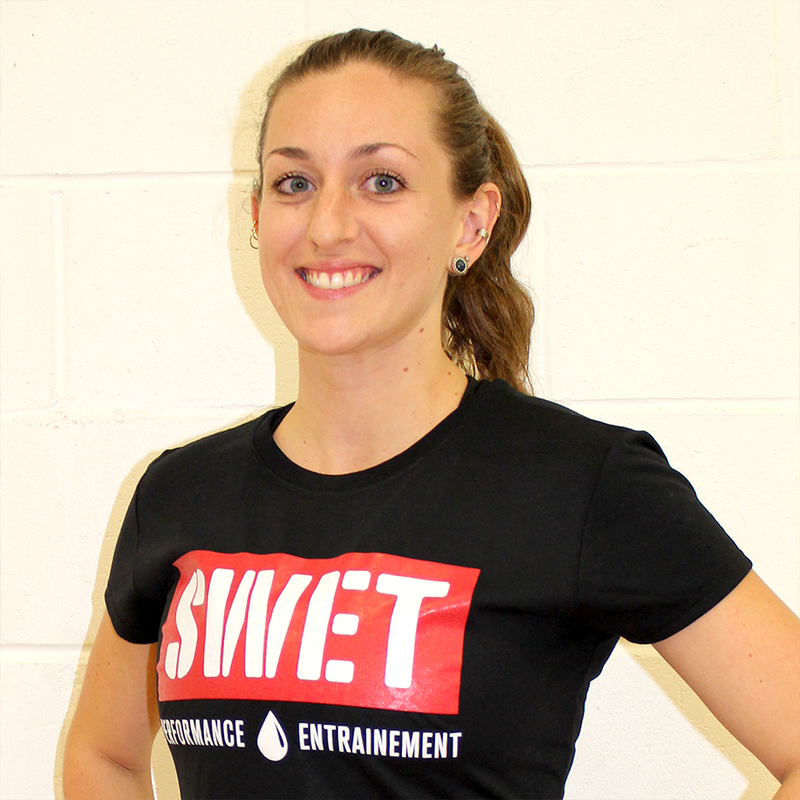 Between my training throughout the week, I’m happy to come and share my passion here at Swet gym. My intense workouts promote both good physical and mental health. While discovering the various fighting styles within mixed martial arts we are also having fun and learning self-defense techniques. Everybody is welcome! A taekwondo athlete since 2001, Kassem got his black belt certification in 2009 and has been teaching martial arts since 2010. He has practiced judo, taekwondo, kickboxing and jiu-jitsu. Kassem has also helped many athletes become Canadian champions. Lentz has over 6 years of boxing experience. He completed more than 70 fights. Elliott found his passion for Boxing in his teen years, and today he is a Boxing Canada Level 1 and 2 certified coach. His coaching career started in 2016 when he became a Competition Coach in the LaSalle Boxing Club. He started practicing Tae Kwon Do at the age of 7, and possesses a black belt certificate in the art. Over the years, he has discovered the physical and psychological benefits that boxing and martial arts have on the body. He seeks to share his passion and have a positive impact on people’s lives. He wants to help you develop your strength, coordination, and endurance while having fun at the same time! 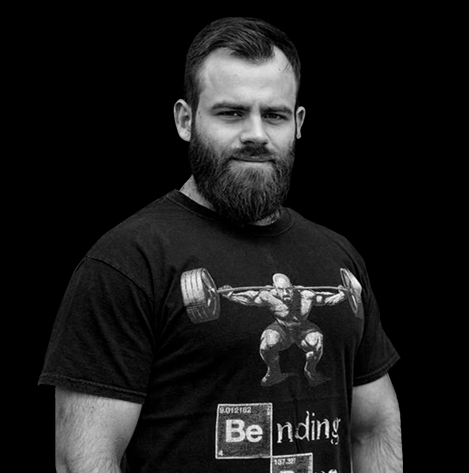 Francis received his degree in Kinesiology from the University of Montreal in 2015 and completed a PNCE training in weightlifting Level 1. 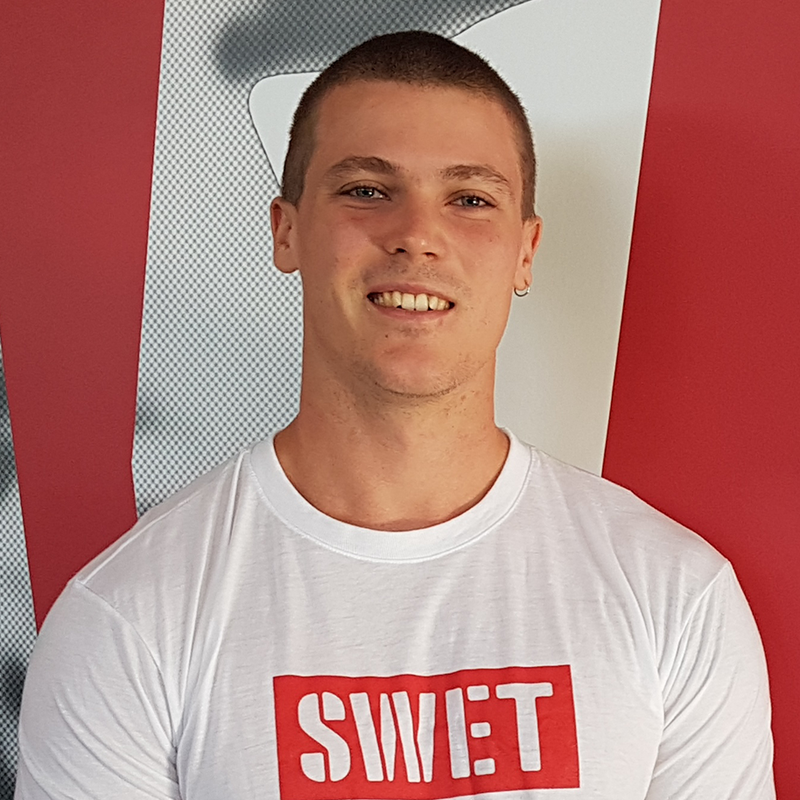 He is currently in the process of obtaining the CSCS certification from the National Strengthand Conditioning Association. His studies and trainings provide him with the right tools and knowledge to interact with different types of clients. In addition to his academic background, Francis enjoys many sports, including powerlifting, in which he learned various lifting techniques and strength training based on individual differences. 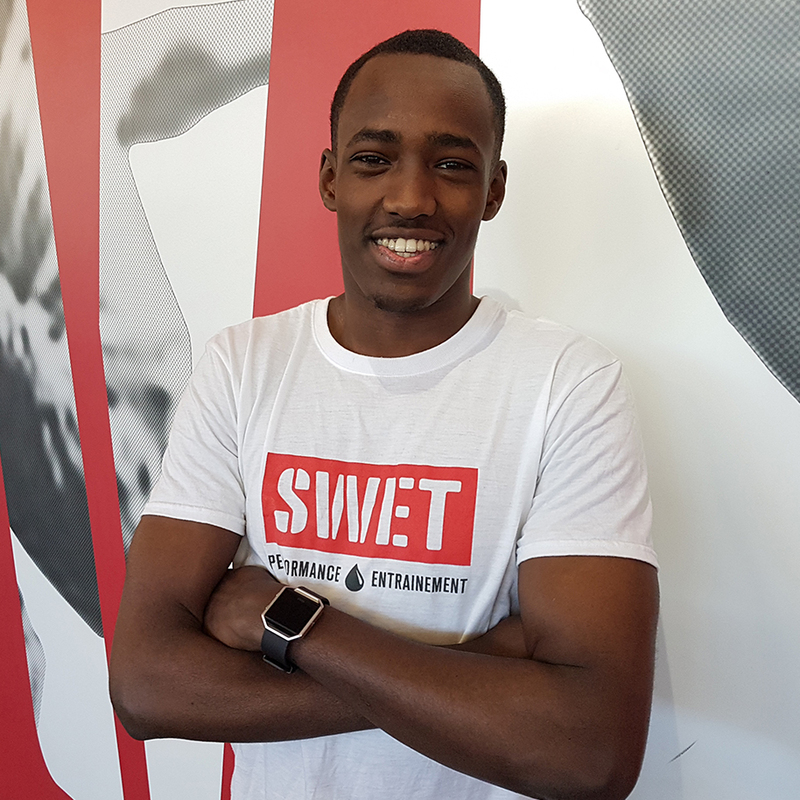 Francis is passionate about sports and fitness, and his experience in personal and professional training in gyms makes him a great asset to the SWET team. Currently at my third year in kinesiology of the University of Montreal since 2016. He’s a holder of a training level 1 PNCE in athletic and in Olympic lifting with Kendrick Farris, Pan-American champion in 2010. Charles practices athletics for more than 10 years. This sport allowed him to acquire a vast knowledge in running techniques, both sprint and long distance, in strength training as well in injury prevention in sports. Martha Graham once said that great dancers are not great because of their technique, but rather that they are great because of their passion for dance. Natasha has been dancing since the age of 3. Trained as a contemporary dancer, she managed her own dance troupe for five years where she was a dancer, teacher and choreographer. Wanting to improve her technique and broaden her portfolio, Natasha took a break from the Contemporary/Modern Dance genre and turned to Hip-Hop. Confident with several different showcases and New York-based dance workshops under her belt, Natasha applied and was accepted to the prestigious Broadway Dance Center in New York City. She graduated from the 6-month program with honours. Increasingly passionate about health and fitness, Natasha became a certified personal trainer in 2015 and is currently implementing her Newbodyart introductory class concept, which showcases a dancer’s approach to the fitness world. Noha has almost always been interested in fitness, playing a wide variety of sports. Today, she is focused on jogging and swimming. She has always believed in the benefits of a healthy lifestyle. Working daily in a fast-paced environment, she turned to yoga to release stress and improve her flexibility. She quickly discovered the spiritual and physical benefits of practicing yoga on a regular basis. She has now been practicing since 2010. Her love for yoga and wellbeing kept on growing, and she finally decided to commit to a 250-hour yoga training in 2015. She graduated from the yoga teaching program at Luna Yoga in 2016, under the supervision of Jennifer Maagendans, Frances Vicente and Bram Levinson. She has been teaching since 2016 and is delighted to share her knowledge, experience and passion for yoga. Noha’s training and experience come from Yoga Vinyasa, inspired by Jivamukti Yoga. Her classes are refreshing and energetic, combining breathing and movement, and focusing on posture, flexibility and muscular strength, while being transported by a wide range of music. Her love of teaching and yoga keeps growing from the inspiration she sees in her students and teachers. Shauna’s love for yoga and the yoga lifestyle began as a teenager. After years of absorbing the teachings and finding that yoga offered a unique and holistic perspective towards health, fitness and mindfulness, she decided to pursue this passion and share it with others. In 2016, she completed her initial 200hr yoga teacher training right here in Montreal, which was a wonderful experience and place to begin. In 2017, Shauna completed her 40hr Yin yoga training. Pursuing her passion, in 2018 she leaves for India to complete her training of 500HR Advanced Yoga Teacher, focusing on Yoga for Athletes (Himalaya Yoga Valley in Goa, India). Shauna’s training includes Hatha, Vinyasa, Yin and Ashtanga disciplines. Celine is the mother of 2 boys and a certified personal trainer. She specializes in postpartum workouts. With her you are sure to get a quick and efficient workout all while having fun! Mommy and baby boot camp is a progressively intense workout. A mix of cardio, weight and core training that will challenge you and benefit you greatly. During the class, you will sweat, build muscle, and build endurance. Babies of all ages are welcome and can be incorporated into your workout. Do you like one of our trainers? Would you like to know more about our group classes?